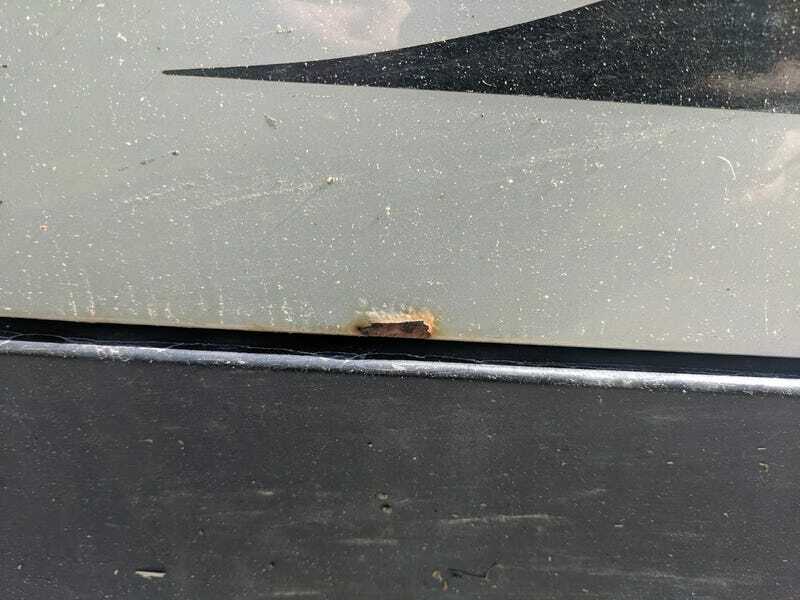 So the Mini has begun to develop a small bit of rust on the bottom of the drivers door. Nothing major but it bugs me none the less. I would like to sand it back and then paint it so that it looks good from a few feet back and isn’t going to spread further. Fuzzy photo is fuzzy because it is kinda hard to take a photo of the bottom of a door while holding it open because it doesn’t hold itself open anymore, on a very sunny day. The rust seems to have started on the inside lip of the door and then spread around to the outside. Does anyone know a good place to get spray paint that is a decent match for my car so I can patch this up? Car is a 2004 MINI Cooper in Pure Silver Metallic. It doesn’t have to be perfect, just good from a few feet away.